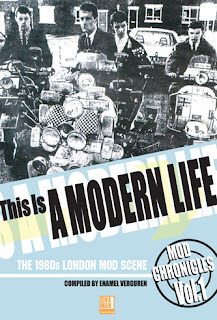 After years of being sold out and going for exorbitant prices online, Volume One of The Mod Chronicles: This Is A Modern Life is finally available again! The new edition has been revised and updated. It includes a new colour section as well as many new photos. 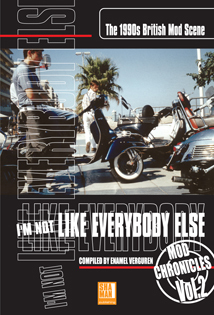 Also currently available is the second volume I'm Not Like Everybody Else which expands the mod story into the 90's. These two volumes represent THE anthology of mod culture from the 80's onwards and are a must-have read for anybody interested or involved in the society of cool. Having managed to get hold of the two volumes I was surprised at how much is in there. Although Volume One mainly covers the London Mod Scene there are hundreds of fantastic pictures and stories that will be familiar to anyone who was a mod during the late 70's to early 80's. In fact it's surprising just how many common experiences we have shared, up and down the country...the initial thrill of participation as an wide eyed teenager, the constant trouble from Police, Skinheads, Casuals etc and the divisions that broke out in the mod movement. 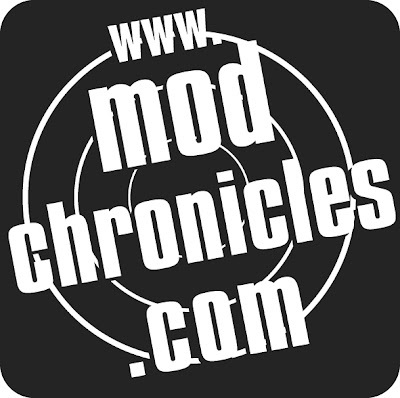 Many of the names of those interviewed and mentioned in both volumes will also be familiar wherever you happen to be and it's heartening that most of them are still involved in the mod scene. If Richard Barnes Mods book is considered the Bible of Mod then it was merely the Old Testament. In these two Volumes and the yet to be completed Volume 3 (which will develop over the New Untouchables and the scene around the world) we now have the New Testament of Mod - and the word is COOL! Released by Shaman Publishing, Volumes One and Two are now available via eBay or the Mod Chronicles website.